Vey Nou Lagon - Jackson Wild: Nature. Media. Impact. Georgie is a professional fisherman, but he hopes for a better future for his children. Living off the lagoons of Mauritius is not sustainable anymore. While his father raised 11 children from working as a full-time fisherman, Georgie is the father of two and works three jobs to make ends meet. He understands the importance of a healthy ocean and urges the fisher community to work with policy-makers to protect their marine resources. 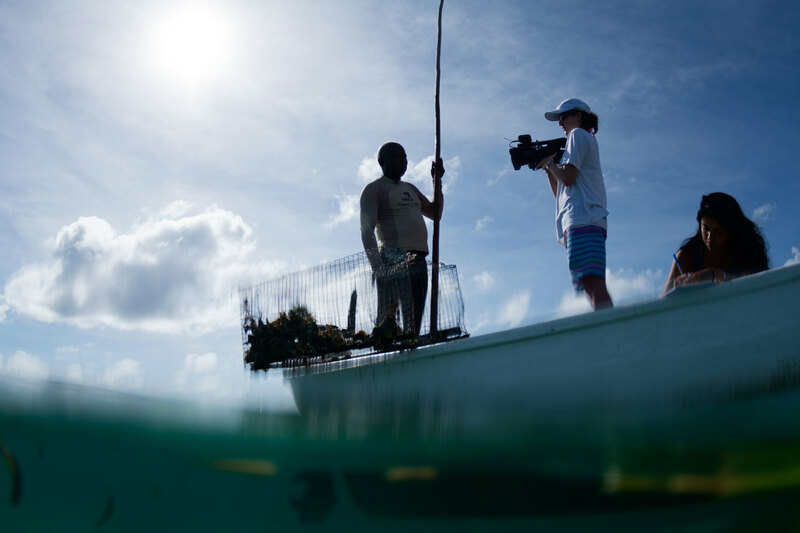 In the voice of fishers, the film provides solutions for the sustainable management of Mauritian lagoons. We grew up on a paradise island, snorkeling, diving, and fishing in the most beautiful of backyards. However, we did not realize the value of it until we left Mauritius. Studying biology, we learned about the current threats to our oceans. Going back home every year on holiday, we witnessed the drastic decline in coral reef cover and the exponential increase of algae on our reefs. We decided to bring our filmmaking and environmental expertise together to tell the story of the Mauritian lagoons, Vanina is the filmmaker, Zara the ocean advocate. We quickly realized that some fishers were uncomfortable talking about certain issues on camera. Mauritius is a small island, where everyone knows each other. Fishers were scared about the repercussions their testimonies would have on them and their families. It took some time to build a relationship with them and gain their trust, but they eventually felt comfortable talking about controversial issues with us. We also were very careful in the edit to protect our subjects. Mauritius is in the southern hemisphere, where seasons are the opposite of those in the northern hemisphere. Shooting during our summer break meant that it was winter in Mauritius. Moreover, making a documentary about fishers on an island implied that most of our shoots were outdoors. The first week was very rainy and we rescheduled some of the interviews to have them indoors. Fishers were very cooperative. Even though they don’t go out on the water when it rains, they were flexible in their schedules to accommodate bad weather days and reschedule filming days. Through this experience, we learnt what it means to have a job that relies completely on the weather, especially in winter. 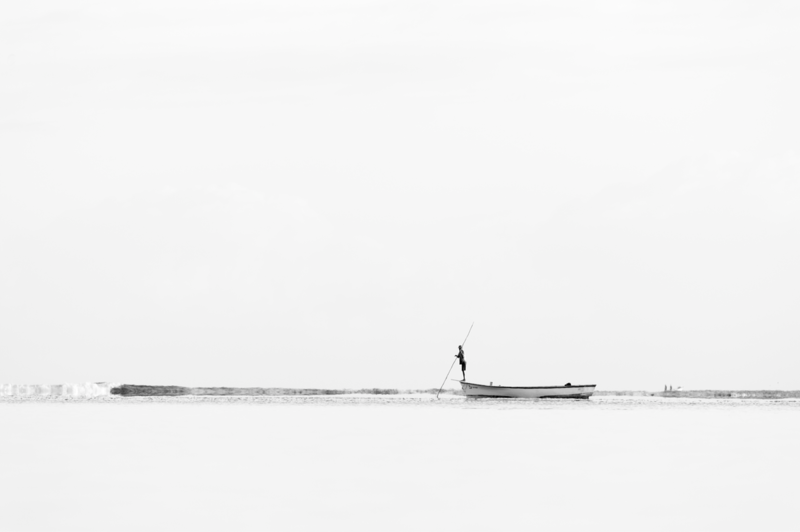 Fortunately, we also adopted the fishers’ positive attitude and with a lot of sawn starts, daily rescheduling, and always being ready to jump on opportunities, we captured fascinating stories. It really depends on the audience. For this film, we were targeting fishing communities and kids, and thus had to simplify the science to make it easy to understand by a broad, less-educated audience. We used strong images to show coral bleaching and an animation with fun sound effects to explain how marine protected areas work. We strived to only use pieces of scientific information that were relevant to our audience, gave them a better understanding of a process, and building on what they already know, or believe. Science was also told in a personal way. Fishers know the intricacies of our lagoons better than anyone else, yet their voices are also the least heard. The movie was a platform for them to share their story and a chance to inspire people. We hope Vey nou Lagon will expand ocean literacy, engage an audience at the local, regional, and international levels, and help Mauritians better translate our local involvement and actions into regional and international impacts and influences. Vey nou Lagon premiered in May 2016 with a powerful message for the sustainable use of our marine resources. The movie is particularly timely as, just this year, the country implemented an island-wide plastic bag ban and the first-ever nation-wide octopus fisheries closure. The tides could be changing for the Mauritian lagoons. Vey nou Lagon comes at a very opportune time and will be an effective tool to facilitate local conservation efforts. With the help of local sponsors, we organized outdoor screenings and discussions, free to public, since the beginning of May. Local NGOs have also been using the film in a national awareness campaign for the first seasonal closure of octopus fishing. The film has already to initiated discussions and inspired people to act. For instance, a group of young people have organized a beach clean-up along the east coast of the island. Inspired by the film and determined to make a difference during their school vacation, they used social media to bring people together and organize this event. 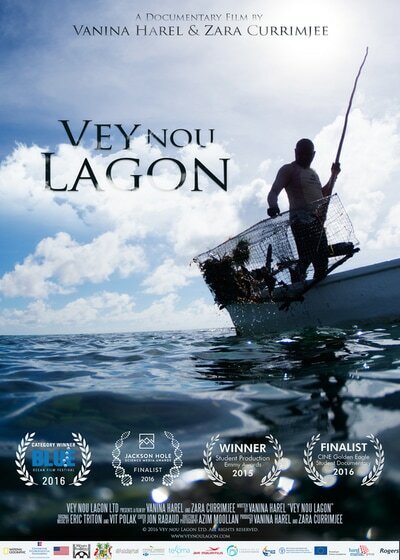 Vey nou Lagon has been screened in many local schools and we hope to inspire more students to make our island more green and blue. We were positively overwhelmed by the response from the locals during our launch week. The film was featured in every local newspaper, on the radio, TV, and magazines. We have received the support of numerous companies and hotels around the island, schools have contacted us to invite us to screen the film for their students, and we keep receiving emails from individuals who want to host their own screenings, or want to volunteer to help the cause. 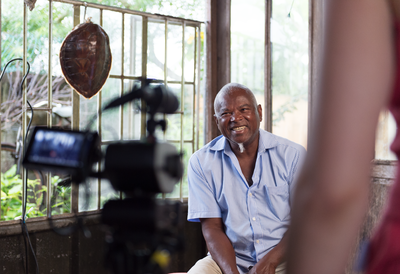 We were definitely anxious about how the film would be received in Mauritius and were so motivated by the response. .Anything else you would like people to know? The story of Mauritius is not unique in that most island states face the same problems. 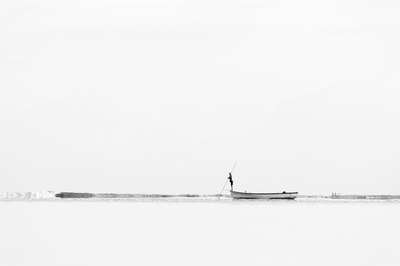 This film gives a personal account of what is happening to lagoons in Mauritius and offers solutions for fishers, but also for everybody else. We are all dependent on oceans and it is our role, as citizens of the world, to preserve our resources so the next generation can also enjoy them. I am now looking at creating an underwater VR experience for kids in Mauritian schools so they can discover what is under the surface. Most kids don’t learn how to swim and will never be able to dive. I don’t know a single diver who is not an ocean advocate. I believe that showing these kids what they have in their backyard and take them on an awe-inspiring experience, will go a long way in protecting oceans in Mauritius.